Multiple sweeps, bends and pipe sizes can all be restored with our application methods. With minimal downtime, we efficiently restore HVAC distribution systems. BELCO's forced air epoxy pipe lining technology is the most effective restoration solution for pipes 2 inches or smaller. Our method of application completely coats the inside of any piping system, correcting problems and preventing future leaks while protecting you from lead and other contaminates leached from piping into drinking water. 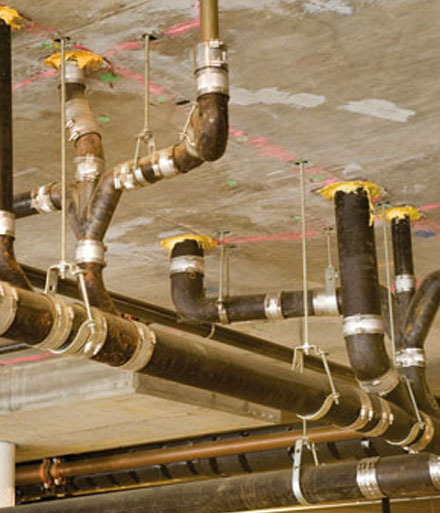 Whether it's being applied to a fire suppression system, HVAC system or a waterline, the unique characteristics of our epoxy make it possible to line longer lengths of pipe through elbows, tees and unusual system constructs. And of course, there is never the disruption or cost associated with traditional pipe replacement. 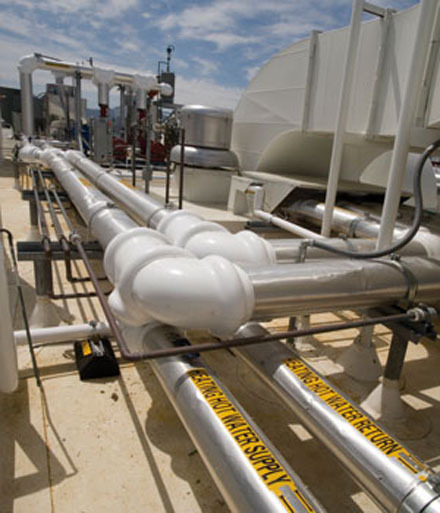 The piping system is inspected for integrity and spot repairs are made as required. Temporary bypass water piping is installed if needed. The system is drained and air-dried. After testing for leaks, the pipes are dried with heated, compressed air. A safe abrading agent is blown through the pipes removing rust and corrosion. Compressed air is applied once again to remove fine particles. Optimal internal pipe surface temperature is created prior to epoxy coating. Conditioned air is then introduced into the pipe to uniformly distribute the epoxy coating throughout the pipe segment. Following the coating application, continuous controlled air flows through the piping to facilitate epoxy curing. After the epoxy coating cures, valves and couplings are refitted. A final leak test and inspection confirms lining integrity. Water quality, volume, and flow tests confirm system functionality.